I can't believe it's Thursday already. Time has just been flying by lately! Starting this Sunday I'm going back to school and taking an aesthetics course! As of right now I'm going to focus primarily on doing gel nails and whatnot but we'll see where I take it from there. As a lot of you have noticed in some of my tutorial pictures I have had gel nails for some time. My mom started doing them around 10 years or so ago so I've had them on and off quite a bit over the years. I thought about it for a while and then decided to bite the bullet and take the course myself and the plan is for me to do it right out of the house once I'm certified. I am hoping to be able to make some extra income while still being at home with my girls...........that's the main idea anyway!! I'm pretty excited about this decision - I've always been interested in aesthetics and have a pretty fair knowledge about gel nails and whatnot having been around my mom and watching her do them plus getting them done for the past decade. I'm also a little nervous as there's a lot of studying and work that has to be done in order to pass the course! 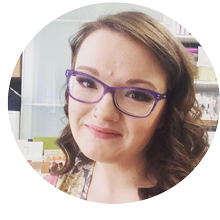 I am really hoping that nothing will change here on my blog since I still LOVE to stamp and am not quitting my work with the companies I am with right now. My initial course only runs for 5 weeks so it's not a MAJOR time investment - however I won't know for sure until I actually begin! 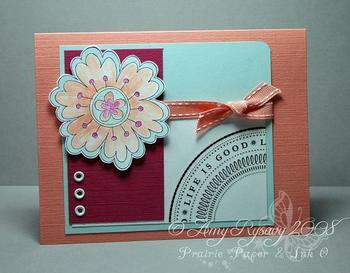 Both cards use Stampin' Up! 's Time Well Spent set (the Level 3 hostess set in the Spring/Summer catalog). This first one was really quick and easy - the flower was stamped onto Whisper White CS then colored in with inks and a blender pen. The "Life is Good" part is a rub-on from the Eastern Elegance set. I used Purely Pomegranate and Groovy Guava textured card stock along with matching ribbon and some white eyelets to take the card up a notch. 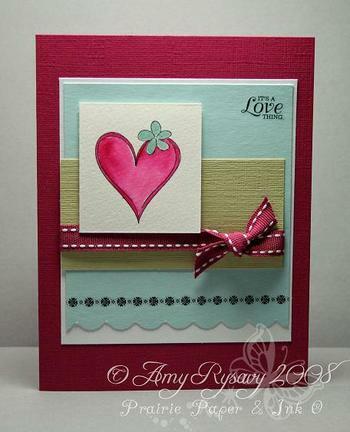 For this card I stamped the image onto watercolor paper then used re-inkers and an aquapainter to watercolor it in. The sentiment and floral line are more rub-ons (same set). I used my 3/16" Corner Rounder Punch to make the scalloped edge (little video tutorial on how to do that here), added some ribbon and some more textured CS and that was it!